TJM purchased Lake Morton Plaza in 2007 for $8,600,000. 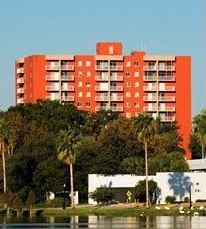 The property was located in downtown Lakeland and was a ten-story high rise with 126 units. By 2009 the NOI was $1,538,000 which yielded a 40% operating margin. The Courtyards at Berne Village, New Bern, N.C.